Categories: Big Shot	| Tags: Big Shot, ribbon, rubber stamping, Stampin' Up, top note	| Comments Off on Thank you, Sandi! Categories: Big Shot, Birthday, Cards, Kids	| Tags: Big Shot, rubber stamping, scallop circle, sock monkey, Stampin' Up	| Comments Off on Sock Monkey! Categories: Cards, Thank You	| Tags: Cards, scallop punch, Stampin' Up	| Comments Off on Wow Flowers! Super Cute Box o’ Cards! Categories: Cards	| Tags: Boxes, Cards, rubber stamping, Sale-a-Bration, scallop punch, Stampin' Up	| Comments Off on Super Cute Box o’ Cards! 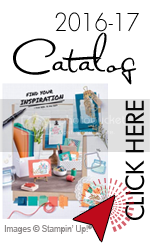 Categories: Birthday, Cards	| Tags: Cards, rubber stamping, Sale-a-Bration, scallop punch, Stampin' Up	| Comments Off on Fall Colors?